ISH Frankfurt, Germany, is the world leading trade fair for bathroom, building, energy, air-conditioning technology and renewable energies. ISH Frankfurt is the most comprehensive overview for building and energy technology including air conditioning and ventilation, as well as the bathroom experience with its installation techniques. Since the last edition ISH confirms its position as the world leading trade fair focused on the combination of water and energy. Over 2,400 exhibitors from home and abroad, showcased their latest products, technologies and solutions and meet with the market leaders to show and share they experience and knowledge. In fact, Messe Frankfurt, that every two years held the international fair, booked up all the Exhibition Centre with more than 250,000m2 of exhibition area. 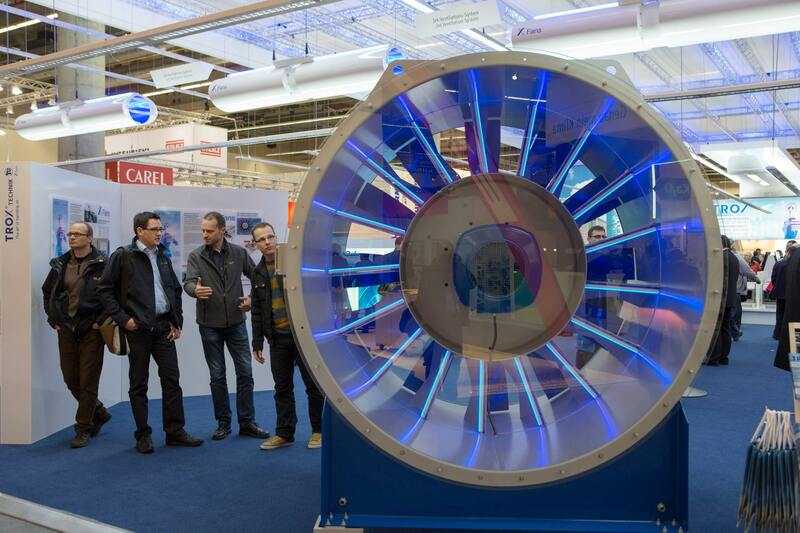 It seems that with a half-century of success story, ISH Trade Fair becomes an indispensable appointment to show the latest in renewable energies or innovative and efficient responsibly bath design. One of the main topics of the show is the sustainability and renewable energies. Can you give us a brief view about the coming trends on that way? As already mentioned, the decisive trends in the ISH Energy and Aircontec section are efficient, future-oriented technologies and intelligent building-services technology. Basically, the idea is to take account of the increasing interaction of heating and renewable electricity. However, digital heating and the associated integration of IT in innovative heating technologies are also an important subject – all bundled together under the top theme of ‘The energy revolution with a bright future – we have the solutions’. In the Aircontec section, the focal points include modern home-ventilation systems and the related subjects of energy efficiency and comfort in dwellings, as well as central and decentral solutions for new and existing buildings. Additionally, their attention will also be paid to technical challenges for environmentally friendly air-conditioning and ventilation systems. In the ISH Water section, the sanitation industry already takes account of trends, such as female shift, health, silver society and sustainability, with its innovative products for tomorrow’s bathroom. Digital technologies are increasingly finding their way into the bathroom and, therefore, into the product portfolios of ISH exhibitors. Moreover, we have been told and seen for ourselves that the factors considered essential for a comfortable bathroom are no longer size and glamour. Instead, the emphasis today is an attractive and usable facility for everyone, no matter whether they are young, old or physically impaired. The sanitation industry offers a variety of solutions that permit the bathroom to be used safely, ergonomically and comfortably in all phases of life. Accordingly, visitors can look forward to more important impulses for these developments at ISH in Frankfurt am Main. 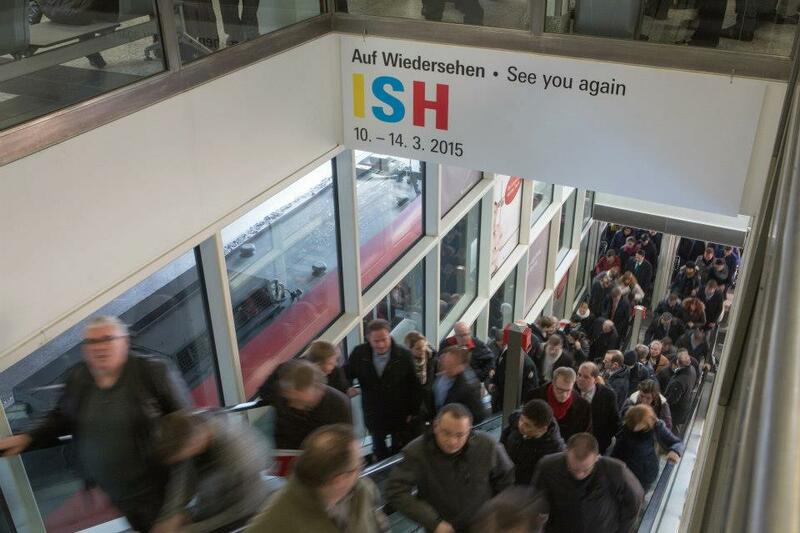 ISH attracts many international exhibitors, can you give some tips for those attending for the first time? The ISH is very much demand on the exhibitor side because it is the foremost trade show for the sector. Accordingly, exhibitors present themselves in the best light and invest large sums in their exhibition stands and visitor communication activities. Registrations for ISH are made 18 months in advance. To draw attention to their presentations at the fair, exhibitors can choose from a variety of advertising and marketing services at the Exhibition Centre. Additionally, we provide a promotional package with numerous free services, including admission-ticket vouchers for inviting customers to the fair. On our website, exhibitors will find information to help them prepare for the fair, such as guidelines on technology, transport, etc. Also, we have a worldwide sales-partner network with representatives who can advise and help exhibitors. Therefore, we recommend that our international exhibitors enter into and maintain a lively dialogue with our Sales Partners. What is the visitor's profile? Can anyone attend or is just for professionals? ISH is the top event for decision makers from the sanitation, heating and air-conditioning trade, the industry, the wholesale trade, the service sector (planners, engineers, architects) and the real-estate and residential sector whereby the sanitation, heating and air-conditioning trade make up the biggest group of visitors. Thus, the fair is primarily aimed at trade visitors. However, we also open it to private visitors on the last day (18 March). At ISH 2015, 2,465 manufacturers presented their latest products and services on approximately 260,000 square metres of exhibition space. 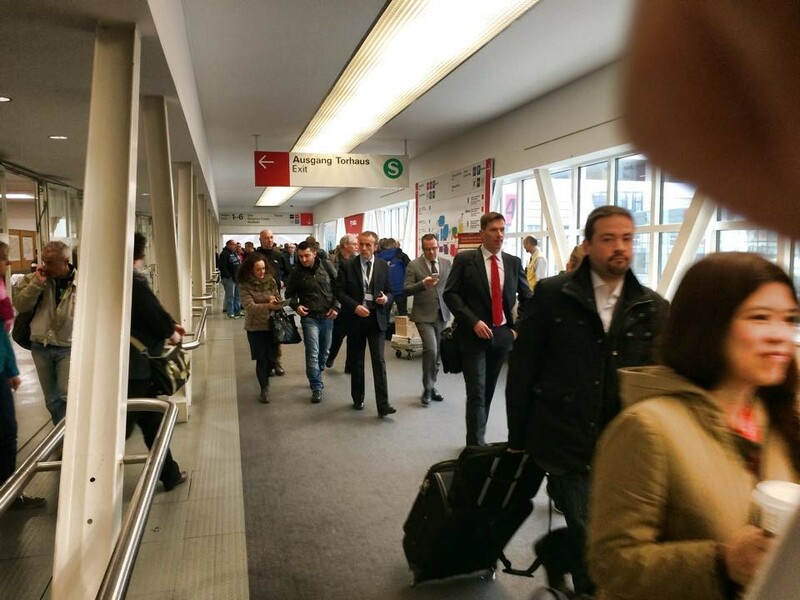 Around 198,000 visitors made their way to Frankfurt Fair and Exhibition Centre to find out about the innumerable technical innovations and the latest trends. 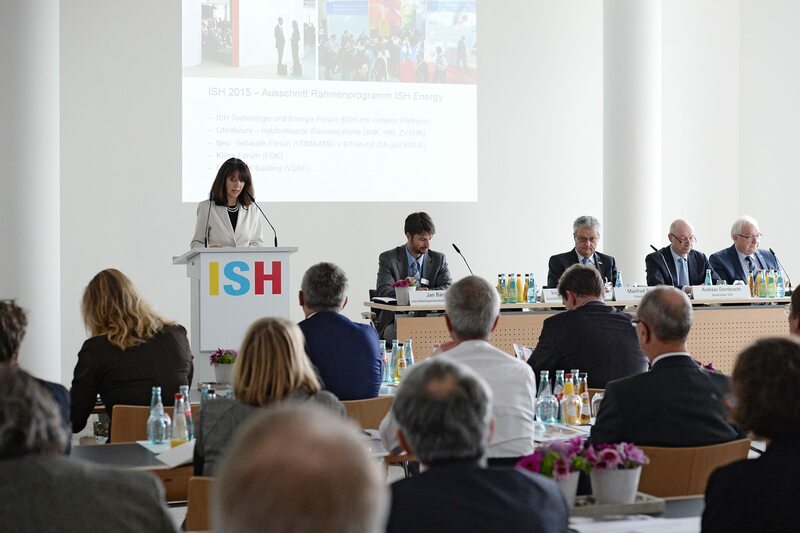 At the same time, ISH extended its lead as the world’s foremost international meeting place for the sector with 61 percent of exhibitors and 39 percent of visitors coming from outside Germany. Putting the spotlight on the world’s biggest exhibition for the combination of water and energy supplies, it has to be ISH Frankfurt. Undeniably revealed to be the most effective and interactive platform there is for this sector, it rounds up a groundbreaking 187,579 trade professionals from around the world. If you are in this industry, let your company do the talking to and book your stand at this star event. Our specialists inform you on the top five stand designers and builders from the area and with that, you will be able to take your products to a whole other level. Taking part in this trade show, you will enthrall yourself in the 5 day event where the retail trade, firms of engineers and architects, housing and property companies, service providers, public authorities and universities meet to discuss further solutions about everyday challenges. Let us guide you to present your company to the world with the best design possible. We've been talking to Stefan Seitz, ISH Brand manager, to know more about the world’s biggest showcase for innovative bathroom design, energy efficient heating and air-conditioning technology and renewable energies. How long have you worked in ISH Frankfurt? I have been the ISH Brand Manager at Messe Frankfurt since January 2012. In addition to being Director of the world’s leading trade fair for the sector, ISH in Frankfurt, I am responsible for the systematic expansion of this trade-fair brand in economically expanding regions of the world. I am also in charge of the existing ISH events, ISH China & CIHE, which is held annually in Beijing, and ISH Shanghai & CIHE, which is held annually in Shanghai. I have been with Messe Frankfurt since 2002, the whole time with the ISH team. Tell us a little about how the Fair changed along the last editions. 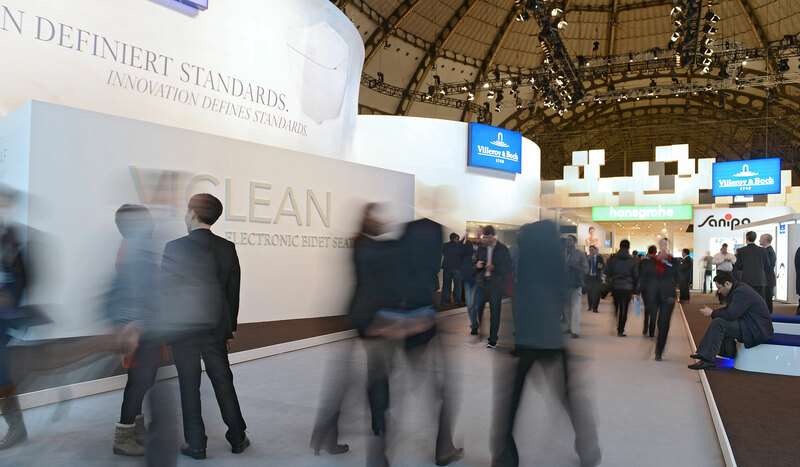 Over the 50 successful years since ISH was launched, the level of internationality on both the exhibitor and visitor sides has grown continuously. Moreover, non-residential buildings – in addition to classic residential buildings – and, therefore, the target group of planners, project decision makers and the real-estate business, have become increasingly important. The fair also reflects current developments, such as those taking place in relation to the subject of energy efficiency. For example, the expansion of renewable energy has had a major impact on exhibitors in the ISH Energy sector while there is an increasing number of exhibitors with water-saving products to be found in the ISH Water section. In other words, ISH takes up many trends and future-oriented subjects. We endeavour, of course, to optimise the spectrum of products and services for our visitors. And we have been successful in this for ISH 2015, too. 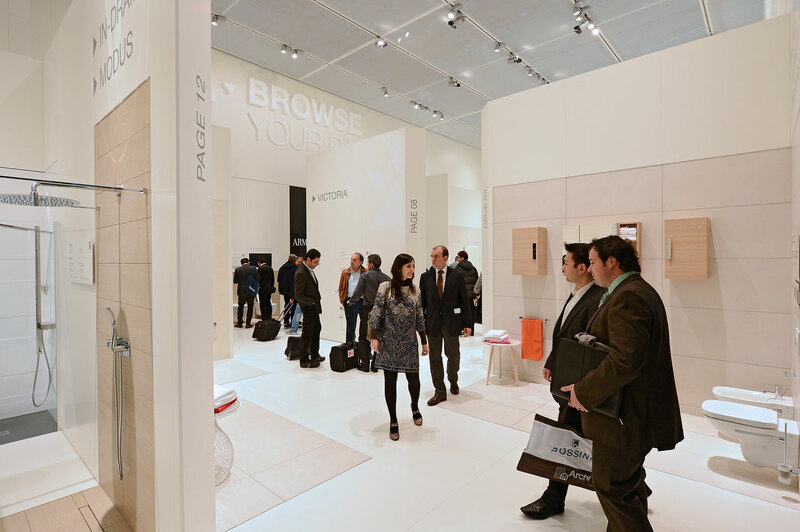 Thus, in view of the greater demand for space at ‘The Bathroom Experience’, we have added more space by opening the ‘Forum’ building at ISH 2015. Additionally, we are introducing the Partner Country concept next year and, in cooperation with our conceptual partners, have decided that Poland should be our first Partner Country. On the one hand, this decision takes account of the decades-long German-Polish friendship. On the other hand, the current efforts of the Polish and German governments with regard to the European energy union demonstrate the importance of energy policy and independent raw-material procurement. This can only be achieved through the use of renewable energies and the latest technologies with a high degree of energy efficiency. Thus, as the world’s biggest showcase for innovative bathroom design, energy efficient heating and air-conditioning technology and renewable energies, ISH is a particularly good platform for Polish companies to offer their sustainable technologies to an audience of German and international visitors. What is the exhibitor's profile? ISH has four main product segments: The Bathroom Experience, The World of Installation Technology, Air-conditioning, Cooling and Ventilation Technology (Aircontec) and Building Services and Energy Technology with Renewable Energies. 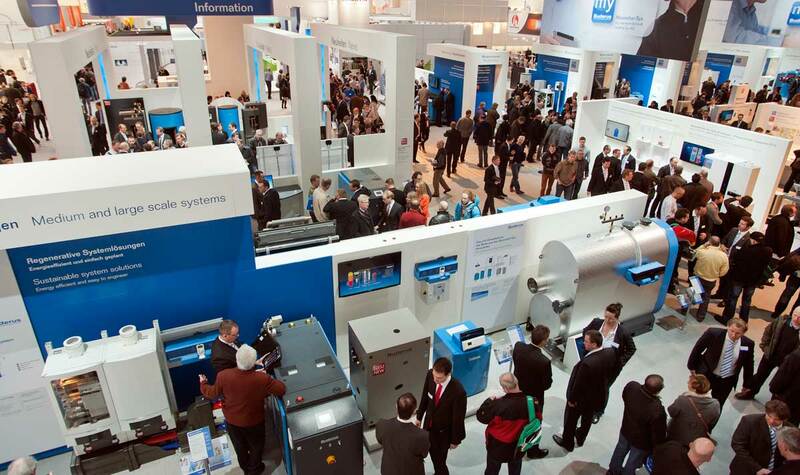 Reasons to exhibit at ISH Frankfurt? ISH is the world’s biggest and most important innovation forum for the sanitation, heating and air-conditioning sector. Many companies time the development of their new products so they can be launched at ISH. Anyone wanting to get ahead in the sector must be represented at ISH, a fair that is distinguished, in particular, by the high degree of internationality on both the exhibitor and visitor sides. What is the visitors profile? ISH is the top event for decision makers from the sanitation, heating and air-conditioning installation trade, the industry, the wholesale trade, the service sector (planners, engineers, architects) and the real-estate and housing business whereby the largest number of visitors to the fair come from the installation trade . And on the same way, can you give me 3 reasons of why should I choose to visit this trade show? As a visitor, you will encounter all market and technology leaders from inside and outside Germany at the same time and place. But that’s not all. They use ISH to launch their new products onto the world market. By this, I mean market-ready products – not visions or concepts. The approximately 2,400 exhibitors come from 56 countries – significantly more than half of them from outside Germany. This alone shows how international ISH is. At no other fair in the world will visitors find such an extensive, interdisciplinary range of products at such a high international level. What is the top 5 trade shows of this sector in Europe? And around the world? To be honest, I can hardly think of any because the ISH concept is unique. Without doubt, the foundation for this leading role is the unrivalled idea for linking two sectors: ISH Water and ISH Energy. No matter what your interest is, e.g., sustainable sanitation solutions, innovative bathroom design, energy-efficient heating technologies combined with renewable energies or environmentally-friendly air-conditioning, cooling and ventilation technology, the vast horizontal and vertical range to be found at ISH covers all aspects of future-oriented building solutions. Hence, it is ‘the’ decisive platform when it comes to innovations and trends for future-oriented buildings. 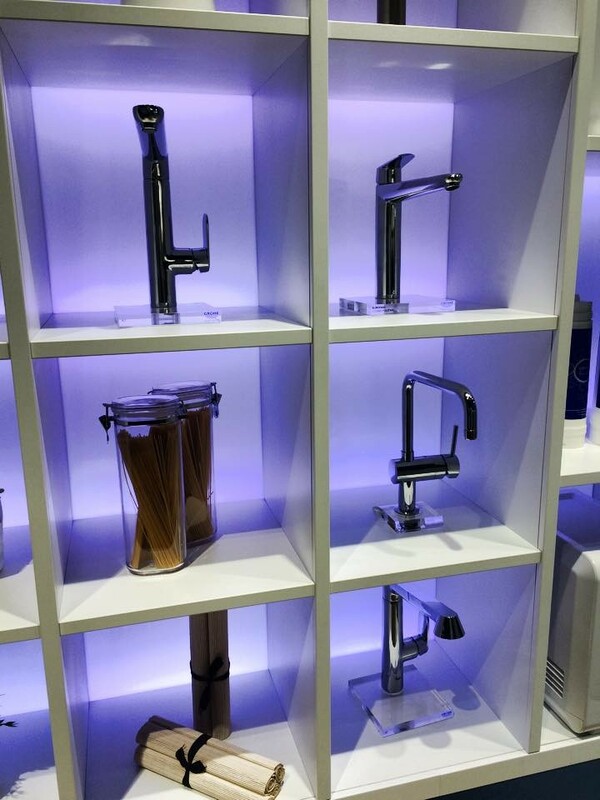 The product spectrum on show at ISH is certainly the most extensive of any event worldwide. Visitors to ISH in Frankfurt can be sure of finding all national and international top brands at the same time and place. Naturally, there are some fairs that touch on certain parts of the spectrum covered by ISH and focus on segments, such as the bathroom and sanitation or heating, air-conditioning and ventilation technology. These events are, however, not comparable with the ISH in terms of the range of products and services on show. For the field of heating, air-conditioning and ventilation technology, for example, the annual ISH China & CIHE in Beijing is the leading event for the Asia region. How have you adapted ISH Frankfurt to the social networks and digital media irruption? ISH is represented in many of the social networks of importance to us, e.g., Facebook, Twitter, google+ and YouTube. Additionally, we will once again offer a special app for ISH 2015, which will help visitors find their way around the fair. 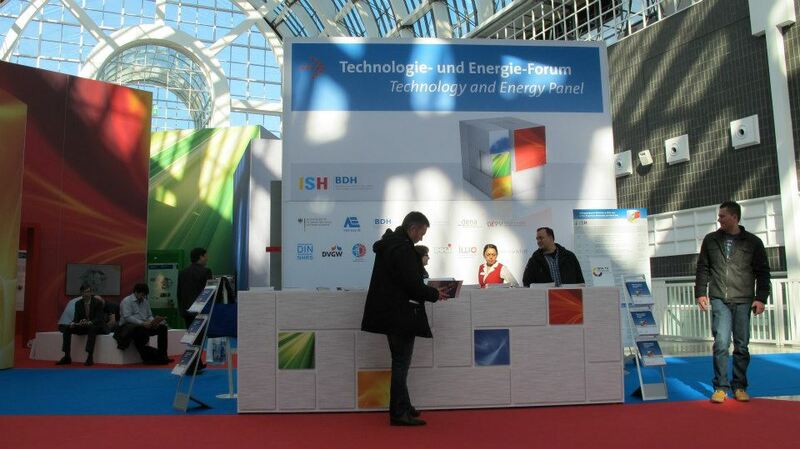 With a half-century of success story, ISH Trade Fair is the optimum combination of water and energy. An indispensable appointment to show the latest in renewable energies or innovative and efficient responsibly bath design. We know the importance of a good presentation and for that reason we will show you the best proposals of Stand Design in Frankfurt.